by Angus W. Stocking, L.S. Perot Museum of Nature and Science in Dallas, Texas. Courtesy Gate Precast. Ancient Romans mixed lime and volcanic rock to form a mortar, a precursor to modern reinforced concrete. This made engineering marvels like Rome’s Colosseum possible—still standing more than 2,000 years after its construction. 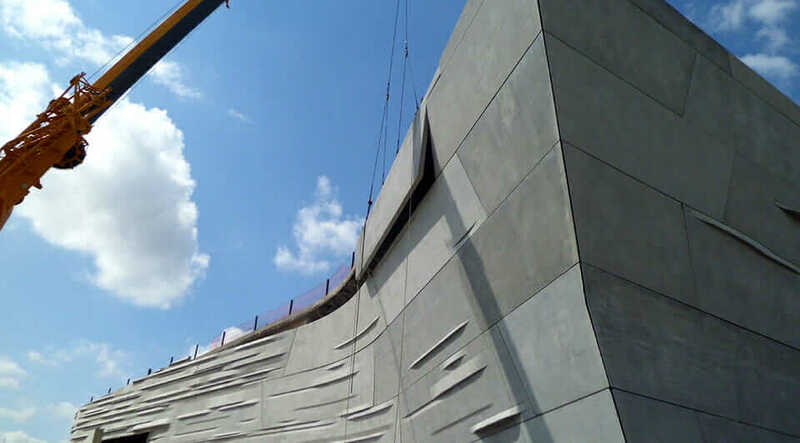 Today, this versatile material is evolving further: Precast concrete, which is formed and cured in factories before being installed onsite, is bringing about a new wave of architecture that streamlines the building process while reaching toward big, complex ideas. 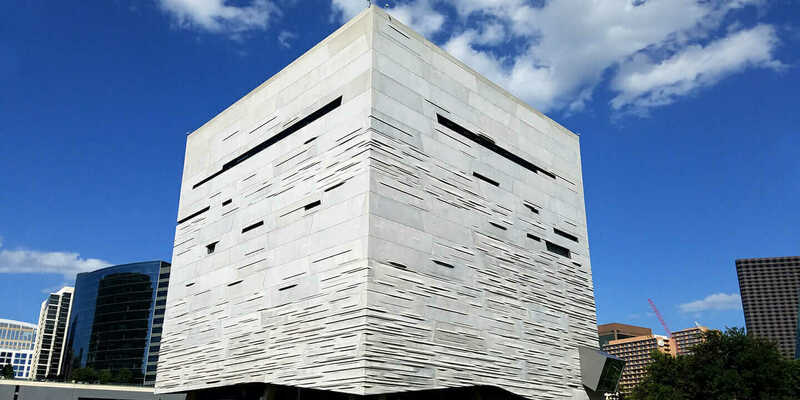 “Concrete is one of the world’s only truly plastic building materials, and it allows architects to design iconic structures that stand the test of time, with low maintenance over 100-year lifecycles,” says Mo Wright, marketing director at Gate Precast, one of the largest producers of precast architectural and structural elements in the US. A side view of the Perot Museum of Nature and Science. 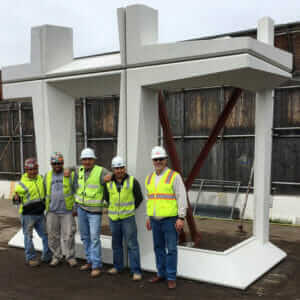 Courtesy of Gate Precast. A construction worker creates one of the panels for the Perot Museum of Nature and Science’s facade. Courtesy Gate Precast. For Gate, adopting design-assist led to a commitment to in-house engineering expertise. The company directly employs 18 engineers, plus 64 modelers and designers, and uses Autodesk Revit to support them. “Without good modeling tools like Revit, design-assist wouldn’t exist—we just couldn’t be productive enough,” Wright says. A crane lifts one of the panels of the Perot Museum of Nature and Science for installation. Courtesy of Gate Precast. The Perot Museum of Nature and Science, in Dallas, Texas, is an early example of the design-assist model pioneered by Gate. “It was a turning point for the industry,” says Wright. “Morphosis Architects faced unusual pressures on this project, and that made them more open to early engagement with us.” Put simply, the museum foundation wanted the new museum to reflect Ross Perot’s values, which meant a “museum for the people” that emphasized programs and collections over the physical museum—so design and construction costs had to stay low. But at the same time, Morphosis, and Principal Architect Thom Mayne, are well known for iconic buildings with sculptural, layered facades. 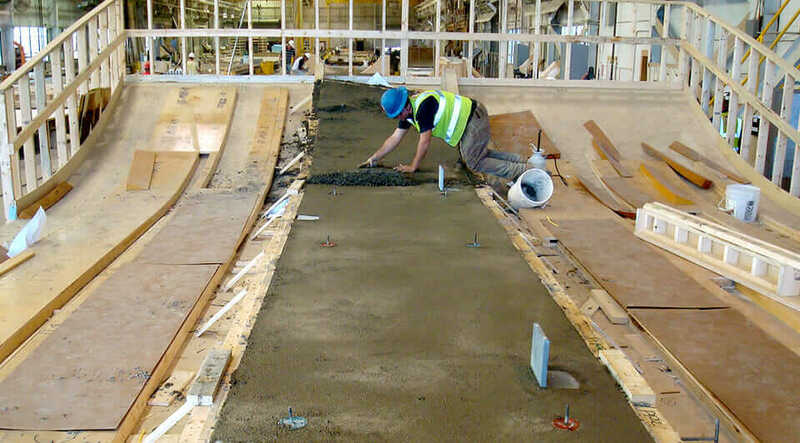 Learn about powerful new tools for the precast-concrete industry. This hands-on involvement continued through the entire project, with Morphosis and Gate teams collaborating on the project site or at Gate’s production facilities. One important innovation involved the ‘modular’ concept developed by Gate to realize the satisfyingly complex, striated appearance of the museum’s otherwise-unadorned concrete shell. “We found a way to use a dozen molds interchangeably, rather than hundreds, to create a 350-panel surface that appears highly variable, without repetition,” Wright says. “And that led to major savings.” Other cost-cutting innovations included brand-new methods for fabricating curved panels and consistent use of concrete mixes in widely varying molds, which helped maintain a unified appearance. Construction crew working on Two Trees Development in Brooklyn, New York. Courtesy Gate Precast. 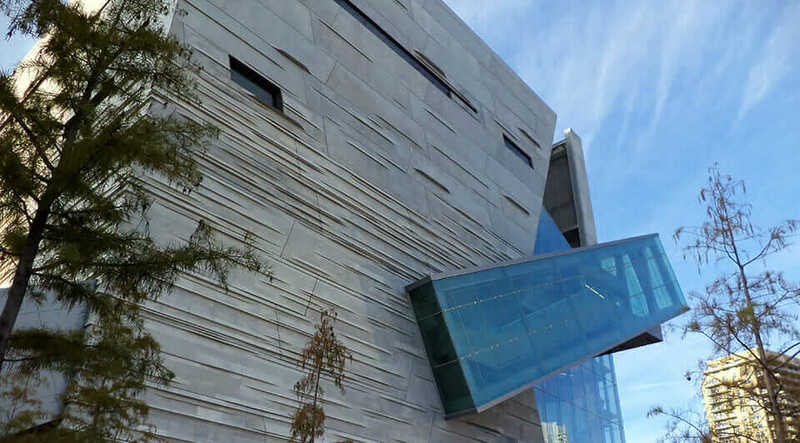 Gate’s early involvement did save costs and also satisfied Morphosis’ desire for a showy, iconic building—the Perot Museum has won numerous awards, and the precast facade in particular has been featured in several industry magazines. Technology and innovation are bringing a high level of productivity to the latest construction boom, with precast concrete and design-assist playing a big part. Although ancient Roman designers were master-builders who combined form, function, and constructability for awe-inspiring results, today’s designers and engineers are creating modern, iconic structures with far less strain and fewer headaches.